Slimmer iPhone 5 with Sony's new camera? Sony has developed new back-illuminated stacked CMOS image sensors which are smaller in size, allowing them to be used in thinner handsets, while delivering higher quality images. Sony claims the new sensors provide higher pixel numbers, superior image quality, faster speeds and more highly-advanced functionalities, while being squeezed into a more compact size. The new cameras have been optimised for bright and low light conditions, featuring Sony's unique 'RGBW Coding' and 'HDR (High Dynamic Range) Movie' functions to deliver improved snaps. Coming to an iPhone 5 near you? The iPhone 4S currently uses a Sony 8MP camera, so we could well see this new tech in the iPhone 5, slated for release later this year. This may put a nail in the coffin of rumours which suggest the iPhone 5 will sport a slightly thicker chassis, with Sony's announcement suggesting the opposite could now be true. Sony's new camera has set us up for some super-slim phones in 2012, but will they topple the Huawei Ascend P1 S, which clocks in at just 6.68mm thick? 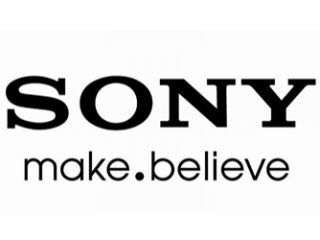 Samples of this new technology from Sony will start shipping in March 2012, quite possibly in their range of new mobile handsets and tablets.